Safra Sheherazde Dufrene, an American Pit Bull Terrier, left this plane of existence at 9:30 am on January 17, 2019. Safra was born on January 21, 2003 in Omaha, Nebraska. She was rescued by her mother, Amber Dufrene, from a nefarious plot to sell dogs to those that would fight them. In late 2003 Amber asked Brad Dufrene, a native of South Louisiana, to be her puppy daddy and he was thrilled to be welcomed into the family. After spending the first year and a half of her life in Omaha, where she was fond of the city’s many parks with dead rabbits and squirrels that she proudly brought to her parents, it was time for a new chapter in her life. In August 2004 Safra and her parents moved to Starkville, Mississippi before permanently relocating to Hattiesburg, Mississippi. Safra, a black and gold brindle puppy, chose Hattiesburg as it was relatively close to New Orleans and her beloved Saints. In 2006 Safra was awarded the Westminster Kennel Club’s Best in Smelly Dog Fart award. She was the first of her breed to be bestowed the honor. Safra is survived by her mother, Amber Dufrene, father, Brad Dufrene, sister Hazel Dufrene, and brother Pierre Dufrene. Safra’s siblings affectionately referred to her as fatty, a moniker that she gladly owned. In fact, in 2015 she started a viral twitter campaign on behalf of plus size dogs to take back the word fat to empower female dogs all over the world. Safra fiercely protected her home, parents, and younger siblings from would-be burglars, mail carriers, neighborhood cats, and mike vick. Her only failing was that she could not protect them from rain or thunderstorms, which transformed her into a 65 pound lap dog. 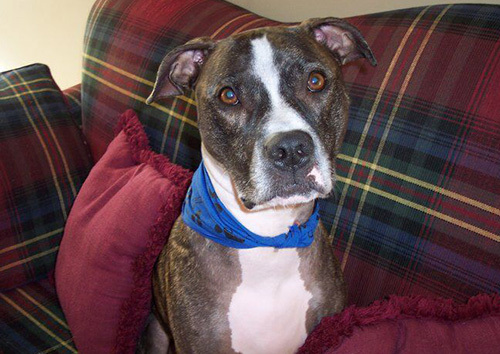 Safra had many passions in life including snuggling with family members, napping, and eating chicken. She was quite proud of her diverse palate as she bragged of having tried most everything that her dad cooked including chicken, beef, pork, alligator, shrimp, crab, and oysters. Safra will most be remembered for her uncanny emotional recognition skills. Even later in life, despite struggling to walk, she never left a family member’s side if she sensed they were in distress. Although her family will miss her dearly, they are content knowing that she lived a full life, loved, and was loved. A private memorial service will be held at Safra’s home at a later date. If you would like to honor her memory, please give your dog a great big hug that makes them uncomfortable and annoyed.